Children's Activity Ideas Calendar: July 2018. Summer Fun at Your Library! Children's Activity Ideas Calendar: July 2018. Summer Fun at Your Library! Summer is in full swing, and it’s the perfect time of year to treat yourself and your young readers! 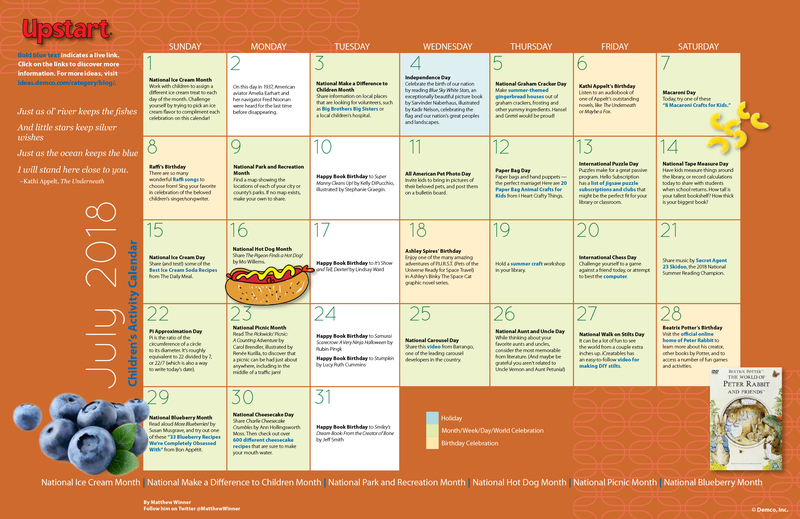 Not only is July National Ice Cream Month, but it’s also National Hot Dog Month, National Blueberry Month, and National Picnic Month (is your stomach growling yet?). 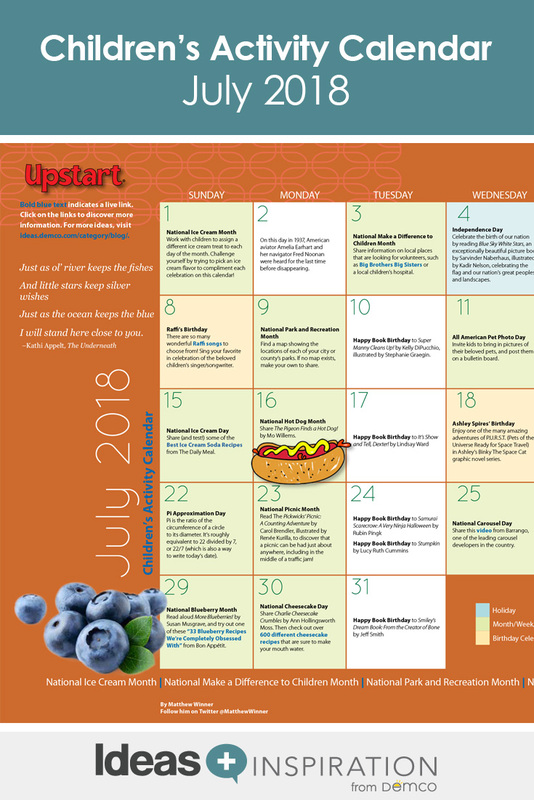 Matthew Winner shares book suggestions and children’s activity ideas for a deliciously fun July at your library!